"Put on your yarmulke, it's time to celebrate Hanukkah"
Since we won't be in school (or will be busy with finals) during Hanukkah, we decided it would be fun to host a Hanukkah party. We haven't gotten a chance to meet everyone yet and what better way to do it than over latkes and sufganiyot while wearing crazy holiday sweaters? Wear your most ridiculous holiday sweater (the more it looks like something Bill Cosby would wear, the better) and bring an appetite! 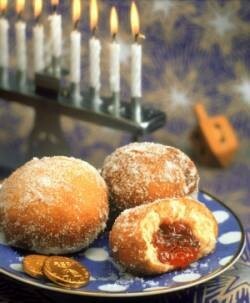 Please RSVP on event page on Facebook...we want to have enough latkes!